One goal we have for Dota 2 is to have as many people playing and enjoying the game as possible. To do so, we suspected we’d need to encourage behaviors that have positive effects on the game and community and discourage behaviors that have the opposite effect- like causing other players to play less or not at all or to discourage them from trying out the game in the first place. One of the things we also suspected was that we wouldn’t be able to tackle that kind of problem without releasing the game – it’s the sort of thing where you need a lot of data to know whether or not your changes are having any effect. Now that Dota 2 has been out for a while, and gathering a nice mix of new and original Dota 1 players, we’re able to gather data to find answers. One of the first things we dug into were the factors that contributed to a player quitting. While it might seem obvious that someone is more likely to quit if they have a negative experience in a game, we’ve learned in the past that we really need to test our assumptions to make sure we’re not fixing the wrong thing. Interestingly, some of the factors we assumed would affect leaving didn’t – for instance, the outcome of matches doesn’t correlate at all to the likelihood of quitting. Losing a bunch of Dota 2 games doesn’t seem to cause people to quit. But one thing that did stand out in the data was the amount of negative communication between players. Put simply, you are more likely to quit if there is abusive chat going on in your games. So, further investment in discouraging negative communications seemed like it would be valuable. But where to draw the line? Should we allow all (potentially) abusive behavior in-game, or should we work to diminish it and push players more towards the positive and collaborative side of things? We don’t want to restrict anyone’s speech nor prevent anyone from speaking their mind, but for everyone who feels slighted by their inability to say exactly what they want to their teammates or opponents in-game, there is someone on the receiving end of that criticism who is having just as bad an experience (or worse). After some discussion internally, we reached the decision that it seemed in the best interest of the Dota community to not push away players who actually enjoyed the game. As a consequence, this meant restricting the ability for some members of the community to say whatever they want. To put it another way, we only want people to quit playing if they actually just don’t like the game. That thinking led us to the current communication ban system. Its goal is to reduce the toxicity that occurs verbally or via text chat, and as a result, to avoid causing players to quit the game solely due to negative communication experiences. Now that it’s been live for over a month, we’re able to see some of the effects it’s having, and the conversation the community is having around it, and we felt we should answer some of the questions we’re seeing out there and pass on some of the data we have. Multiple people ganging up on you to report you in the same game has no effect on whether or not you are banned. We are looking at patterns of behavior over time only. If you are currently communication banned, any communication reports you receive in that time period do not contribute towards, nor result in additional bans. The system is not yet ideal, but we felt it was better to gather data on this first step before trying to complicate it with extra nuance. We’ve changed the algorithm several times already, and we’ll continue to update it in response to the community’s feedback, and the data we’re gathering. 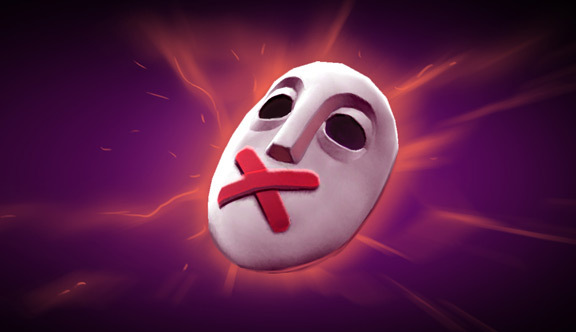 The most common question we get is why we added the communication ban system when we already have an in-game muting system. Shouldn’t players who don’t like what they’re hearing just mute the speaker? Ignoring the side problems around some players not knowing about muting, and that the damage is often done before you know you should mute someone else, the real problem with the muting approach is that it doesn’t provide strong feedback to the speaker. Some of our earlier data showed us that offensive players can be rehabilitated and that they manage to modify their communication so that they don’t cause negative interactions. To be able to do that though, they need to know when they’re producing negative interactions, and the communication ban system lets them know this. Our data shows this is working exactly as we hoped – many players banned eventually reach a ban free communication style, and the percentage of players being reported for communication bans is dropping over time. We also hear from users reporting false reports and unwarranted bans, and when we investigate them we typically see that they’re unaware of how they are coming across to other players in-game. The perspective one has over what is or isn’t warranted or abusive varies by player, and that’s one of the reasons why we’ve tried to build a system where the community gets to own the definition of abuse, and the community’s overall decision finds its way back to the people who cross over the line. We’ll continue investigating these claims to make sure the system is working as intended, but ultimately, this system is not designed to please everyone, and our data makes us believe that even those banned by it are better served by the positive effect their lack of speech has on the community’s health. Since the ban system has been implemented, there’s been a 35% drop in negative communication interactions. Less than the 1% of the active player base (players who have played Dota 2 in the last month) are currently banned. 60% of players who receive bans go on to modify their behavior and don’t receive further bans. Total reports are down more than 30%, even after accounting for the reduction in the number permitted per week. Overall, we’re happy with how the system is proceeding. The communication ban system was an attempt to remove a specific set of behaviors in the community, and given its harshness and the change in expectations it engendered, it was always going to be something that was met with criticism. As is often the case, there’s still a lot of work to do, but the early results are promising.